Maui Travel: How do I get to Maui? Maui Travel: Getting to "The Valley Isle"
How to save money on your flights, what to expect from the island's airports, and more travel tips you won't want to miss! Looking for a way to get to Maui? Travel to this beautiful island can be easy if you have the right information! My Fave Way to Get to Maui: Travel By Plane! Since Maui is in the middle of the Pacific, most people get there by catching a plane! Most people arrive at the largest Maui airport, located in Kahului. However, if you're staying in West Maui, flights to Kapalua airport are worth checking out since you won't have as long of a drive to your resort or condo rental. Save Money on Flights to Maui and Travel for Less! Flights to Maui can be expensive, and I'm always on the lookout for ways to save some money on this. Since I always have to book my vacation time well in advance, the very best last-minute type of deals are out of my reach - despite this, I've found a few tips for the average traveler like me (and you!) to save money on airfare to Maui, Hawaii. On the other hand, if you're not the average traveler, and you're able to fly at the last minute to Maui, cheap airfare is sometimes available - especially if you're flexible on your travel dates. Are you already on one of the other Hawaiian islands? Take a Hawaiian cruise that makes a stop at Maui. My personal preference is the inter-island flight. Well, most cruise ships will only stop on Maui for a few days at best - but there is so much to see and do on Maui, that you'll never fit all of it into just a few days. Since I believe you need a minimum of 1 week to see the best of Maui, the interisland flight is the best option. By flying to Maui, YOU get to choose how long you stay, rather than a cruise line. Have you heard about the Hawaii Superferry? 1) Flying to Maui? 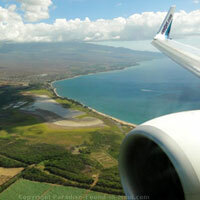 Travel Tips for Your Journey to "The Valley Isle"
These are my best Maui travel tips for surviving your day of air travel to Maui. You'll find these tips especially helpful if you have up to 17 hours or more of hopping on and off planes like we do. 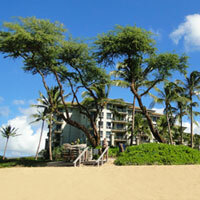 Especially if you've never been to Maui, you'll find our tips helpful. Heck, even if you HAVE been to Maui before, you may pick up a good idea or two! 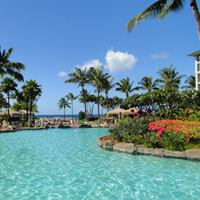 3) Planning a Trip to Maui? Travel Tips to Ensure Your Vacation Goes Smoothly! These are my top Maui travel tips for ensuring your vacation goes smoothly... you won't want to leave for Maui without them! 4) Taking the Kids to Maui? Travel Tips to Keep 'em Happy on the Plane! We now have 2 kids of our own, so we just had to find out how to make the long day of getting to Maui go more smoothly! Your Maui Travel Stories and Tips! So... how was your journey to Maui? How did you survive the trip to get there?